NEW Close To My Heart (CTMH) Artfully Sent Cricut Collection! Just released! The Close To My Heart (CTMH) Artfully Sent Cricut Collection! 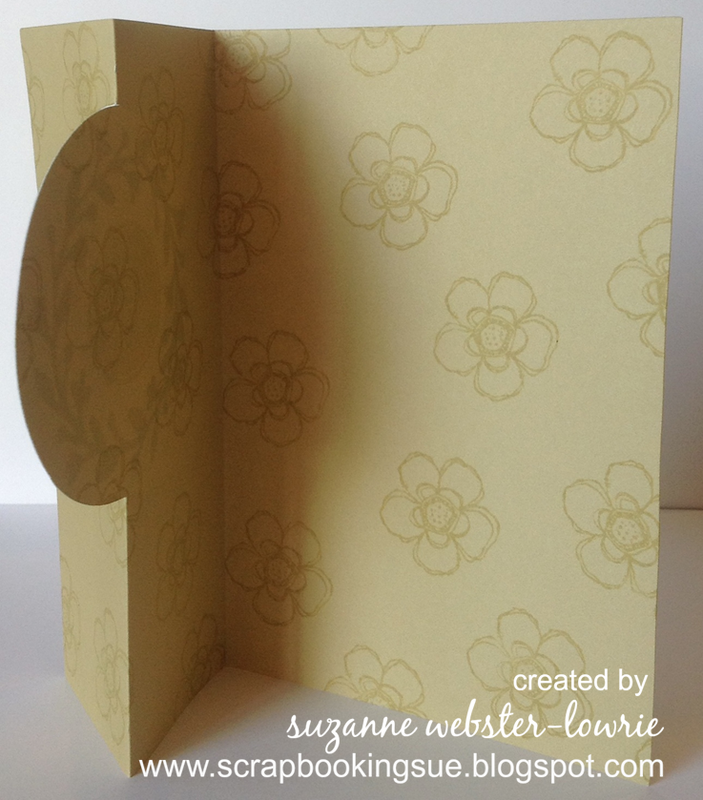 100 Card fronts – these can also be used as Picture My Life (like Project Life) cards! To view Artfully Sent sample cards, please click here. To view the Arfully Sent Shape Index, please click here. To purchase the Arfully Sent Cricut Collection, please click here. Does the first card in the picture above look familiar? 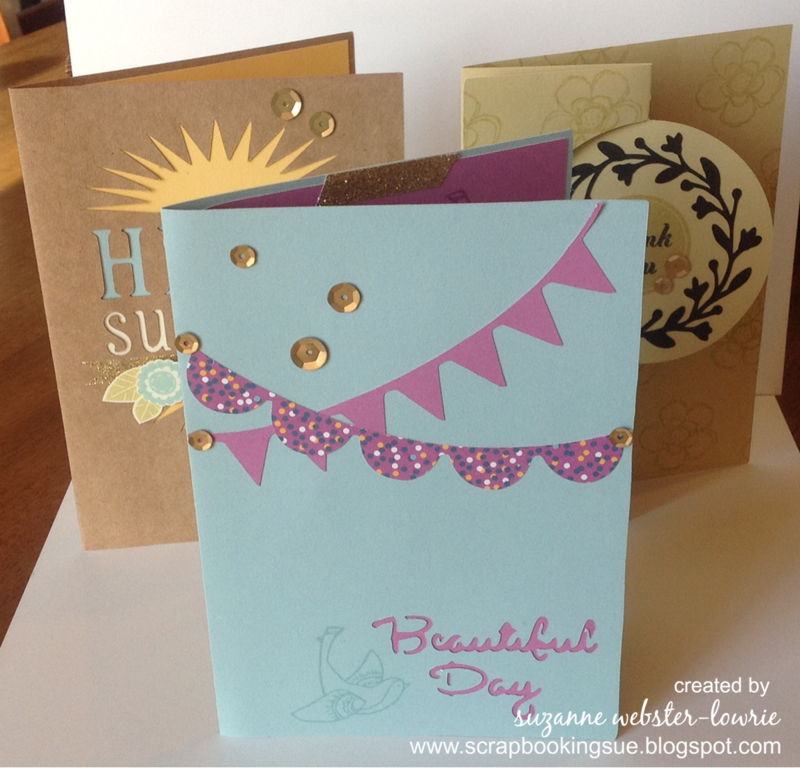 I hope so, since that would mean that you have visited my blog before :o) I featured the “Beautiful Day” card yesterday, along with an introduction to the brand NEW CTMH Cricut cartridge, “Artfully Sent.” If you missed that post, you can view it HERE. Today, I would like to share the other two cards in the picture, also made at the CTMH convention with the Artfully Sent cartridge. 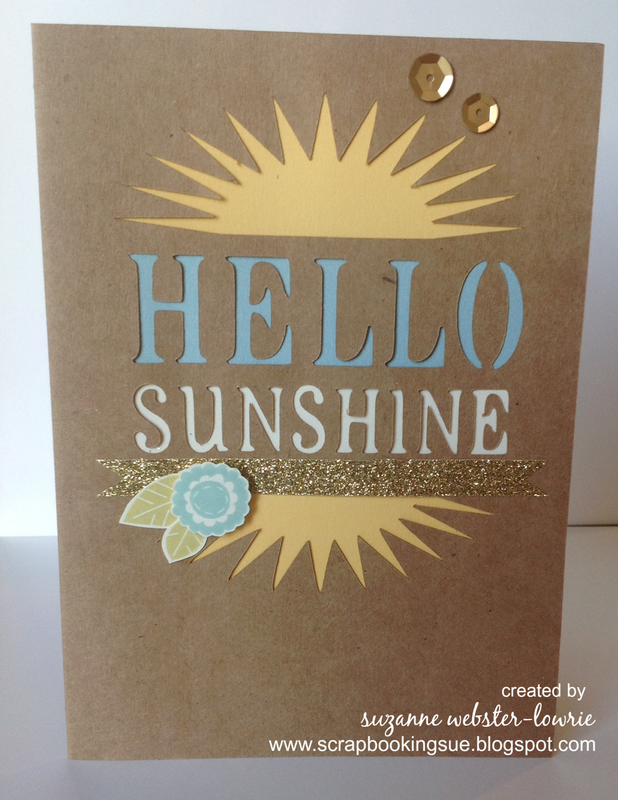 The “Hello Sunshine” card was so easy to make! It looks fancy with all of the cut-out detail, but the Cricut machine really does all of the hard, fussy work for you! 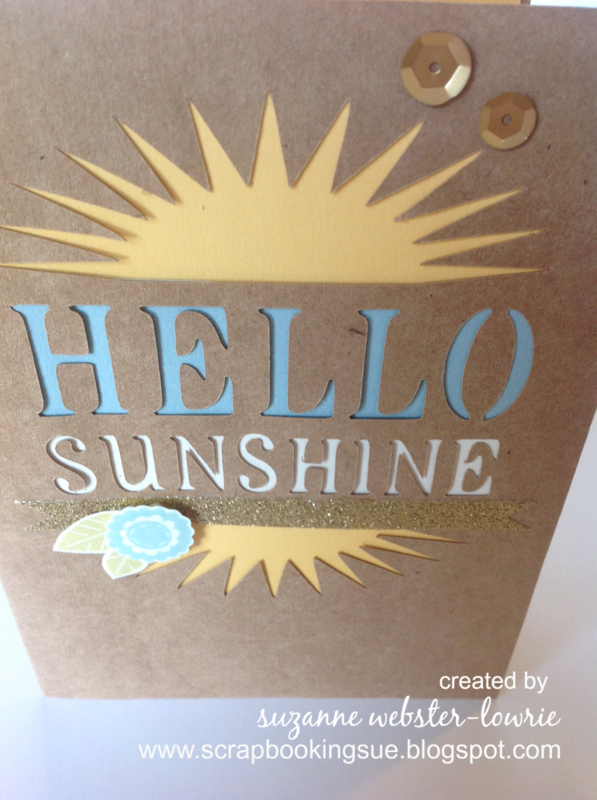 The sentiment and sunburst were cut right into the card. I added colored cardstock behind the cut-outs and the card was almost finished! To make it a little fancier, gold shimmer trim was added under the sentiment and gold sequins were adhered to the top of the card. The flower and leaves were stamped with a brand new stamp set called, “Have a Happy Day” (available August 1st), and attached with a piece of foam tape to make it pop. 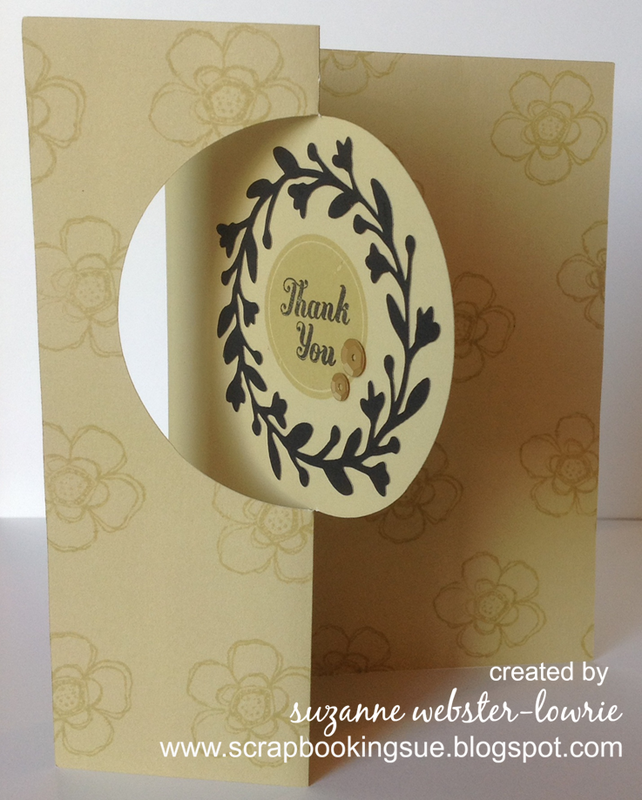 Just when you thought that making card bases couldn’t get an easier, along comes the “Thank You” swing card! This card is cut so that the middle “swings” when opening and closing. This card was stamped all over both sides with a flower from the new “Happy Birds” stamp set. 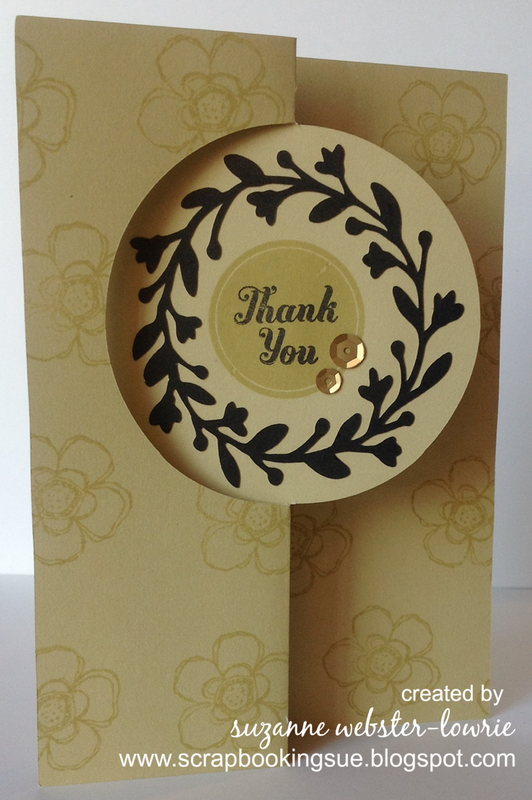 The “Thank You” sentiment was stamped right onto the card (you could also stamp onto cardstock, cut it out, and use foam tape to pop it up), and gold sequins were added for some interest. The black wreath was also cut from the Artfully Sent cartridge and simply glued on to the card. These were very quick and easy cards to put together. Yet, you could get as creative as you want with designing the cuts on your cards, and embellishing the card bases when cut. Don’t forget that the Artfully Sent cartridge will be available some time in August, and that I am forming an interest list NOW. Please email me if you would like to receive notice when this cartridge will become available.